Sharjah Art Foundation announces the launch of the new Sharjah Film Platform (SFP), an annual programme that provides a critical platform for filmmaking in the United Arab Emirates (UAE) and the surrounding region. The multi-pronged programme offers film production grants, workshops and discussions as well as curated film screenings and filmmaking awards. Building on the foundation’s long history of film programming and commissions, the SFP continues and expands the foundation’s commitment to serving as an advocate and catalyst for artists and cultural producers, including emerging and established filmmakers, film producers, critics and students. Through a variety of year-round programming in film, and as part of the Sharjah Biennial, Sharjah Art Foundation has long supported filmmaking in the UAE and the surrounding region and has contributed to the development of a stronger infrastructure for local, regional and international filmmaking. 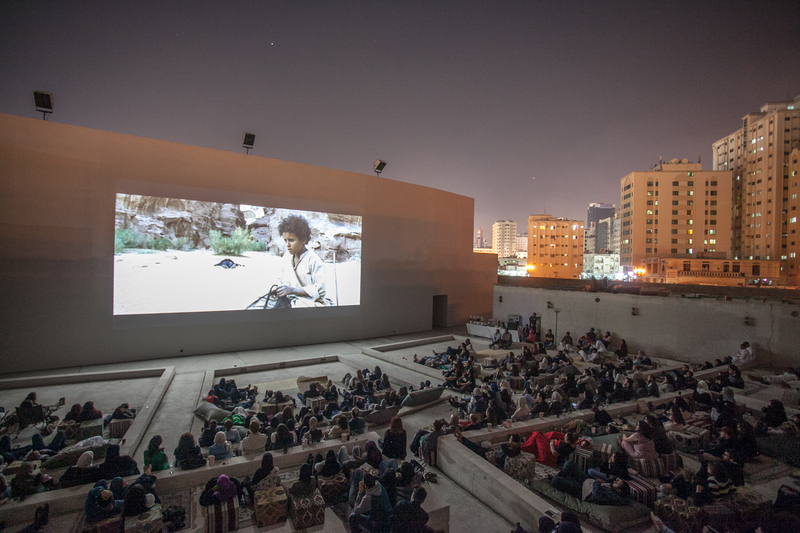 The foundation offers regular screenings of independent, experimental, award-winning and artist films in Mirage City Cinema, Sharjah’s only dedicated outdoor cinema; production grants; commissions and co-commissions; a film club and educational programmes for film enthusiasts and emerging filmmakers. The foundation has also partnered with film festivals such as Reel Palestine and the Dubai International Film Festival, among others, to screen films by upcoming directors. The Sharjah Film Platform will offer workshops, talks and discussions on both practical filmmaking skills such as screenwriting, cinematography and editing and more theoretical subjects such as film theory and film criticism. SFP will also host focused sessions with guest speakers and experts in the film and production industry, who will address major concerns in the film market, including funding and distribution.